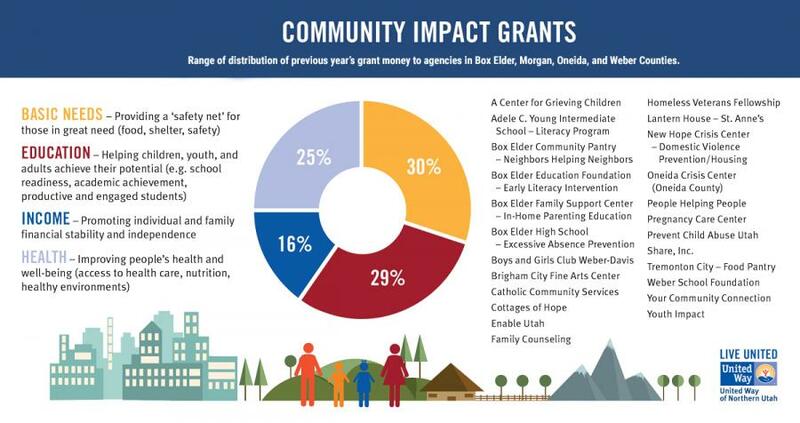 United Way of Northern Utah offers grant funding to nonprofit agencies every year to support residents in Box Elder, Morgan, Oneida and Weber counties. This funding supports organizations and collaborative partnerships that help achieve community objectives in the areas of education, income, and basic needs (which include health, food, shelter, and safety). To be eligible, organizations must meet the specific operation and eligibility guidelines. United Way of Northern Utah is committed to working closely with a broad range of partners to achieve lasting change, and to find and implement solutions that will positively impact lives today, and for the coming generations.